The UFC’s bantamweight division is arguably one of the promotion’s most exciting weight classes right now. Following TJ Dillashaw’s recent suspension by the New York State Athletic Commission, Marlon Moraes and Henry Cejudo will compete for the now vacant title at UFC 238. The division also has numerous other top contenders, namely Pedro Munhoz, Aljamain Sterling and the streaking Petr Yan, who have all traded barbs on Twitter. 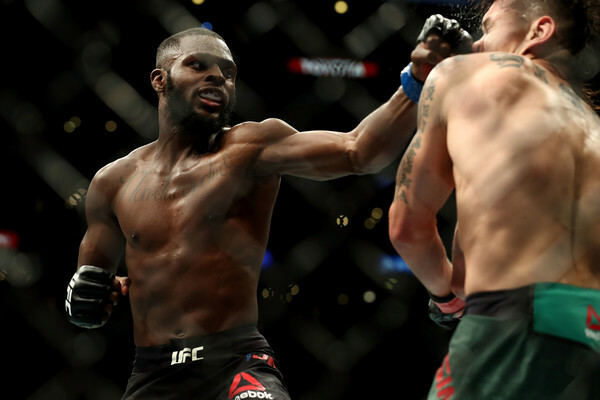 While trash talking is often seen as a way fighters can garner more attention and earn higher-profile fights, one man who is less impressed by the recent surge in trash talk is rising bantamweight Montel Jackson. 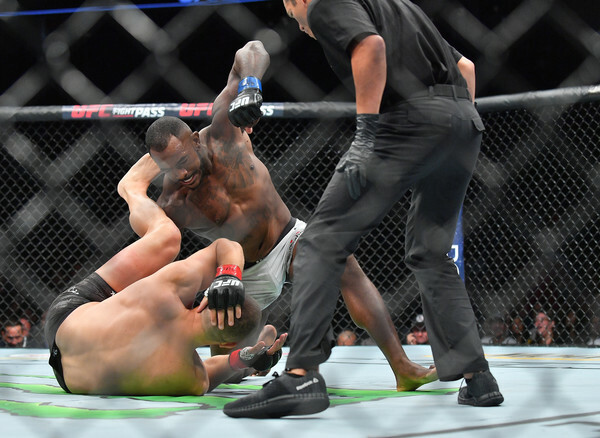 Jackson, who will face Andre Soukhamthath at UFC 236, recently told John Hyon Ko of The Body Lock that fighters willing to bad-mouth their opponents should be very careful. 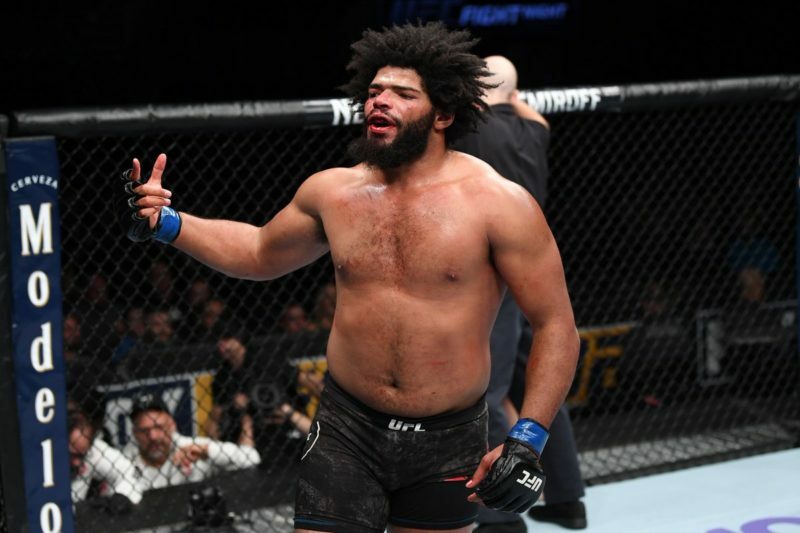 In particular, Jackson had little sympathy for Justin Willis who recently faced Curtis Blaydes at UFC Nashville. Despite Willis attempting to unnerve his opponent by making a number of remarks about Blaydes’ family, ‘Big Pretty’ ended up on the wrong side of a brutal beat down, with Blaydes dominating the fight from start to finish. “I can’t feel sorry for him because you asked for it. You made that bed, you’ve got to lay in it,” Jackson stated. TJ Dillashaw’s recent suspension has left the bantamweight division wide open. While many fighters have jumped at the chance to criticize Dillashaw, Jackson is not yet prepared to attack the two-time champion. The full details of Dillashaw’s suspension are still unknown and whilst the NYSAC cited adverse findings in his post-fight test as the reason for his suspension, it remains unclear what the adverse findings were. Jackson feels that until the full details of the case are made public, the MMA community should not jump to conclusions. He continued, stating that if he was in Dillashaw’s position and his innocence was proven, he would not accept any sort of apology from those who were critical. Every fighter on the UFC’s roster has dealt with some kind of adversity during their journey to the promotion; Mike Perry grew up in poverty, Mark Hunt served time in prison when he was very young, and Montel Jackson has experienced his share of trouble. Initially, ‘Quik’ found solace in wrestling and he immediately set a goal of competing in the Olympics. At the same time, he began to separate himself from the people he felt were holding him back. 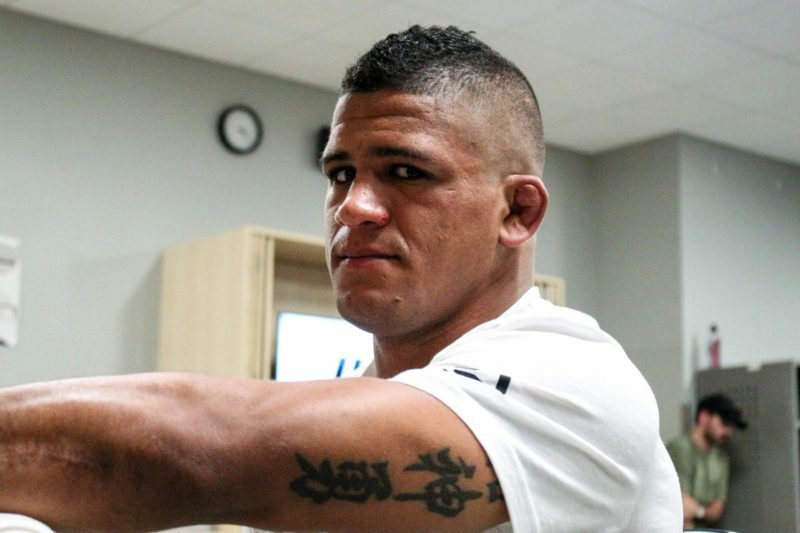 For a variety of reasons, fighters often cite their initial venture into mixed martial arts as a changing point in their life. For some, it provides a way of controlling aggression; for others, it proves to be a way of harnessing physical strength while simultaneously developing mental fortitude. For Jackson, the guidance he received from coaching staff and training partners alike at his gym Red Schafer, as well as coaching other students himself, proved to be the reason he was able to turn his life around. Jackson now trains out of Pura Vida gym in Milwaukee. This gym boasts other notable UFC talent such as Leah Letson and Zak Ottow, however, Jackson feels very much like a leader. 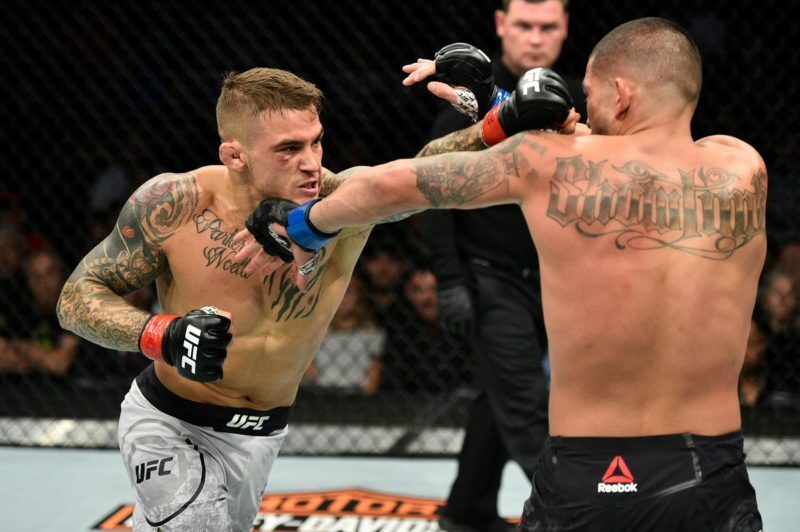 After knocking out Rico DiSciullo on Dana White’s Contender Series in 2018, Jackson waited patiently for a UFC call up. This came just two months later at UFC 227 when he faced Ricky Simon on just 11 days notice after Simon’s original opponent Benito Lopez withdrew from the fight. Jackson lost the fight via unanimous decision but returned four months later to face Brian Kelleher at UFC 232. This time he was victorious, defeating Kelleher via D’Arce choke in precisely 100 seconds. Whilst Jackson has five finishes via strikes, this submission victory is the only one on Jackson’s 7-1 record. However, Jackson didn’t plan to submit Kelleher. Despite his victory over Kelleher appearing somewhat flawless, Jackson felt he made some errors in his 100-second victory. As with many fighters, Jackson is his own biggest critic. At UFC 236, Jackson will face Andre ‘The Asian Sensation’ Soukhamthath who is currently 2-3 in the UFC. While this is arguably ‘Quik’s’ greatest test yet, he remains unfazed. Should he defeat Soukhamthath, it will move Jackson one step closer to entering the bantamweight divisions rankings, however, this is a prospect that Jackson has paid little attention to. Instead, Jackson feels a victory over Soukhamthath will do no more than cement his position at the division’s summit.